Vellore district lies between 12° 15’ to 13° 15’ North latitudes and 78° 20’ to 79° 50’ East longitudes in Tamilnadu State. The geographical area of this district is 6077 sq. k.m. The total population as per 1991 Census is 30, 26,432. Vellore had the privilege of being the seat of the Pallava, Chola, Nayak, Maratha, Arcot Nawabs and Bijapur Sultan Kingdoms. It was described as the best and the strongest fortress during the Carnatic War in the 17th Century. It witnessed the massacre of European soldier during the mutiny of 1806. 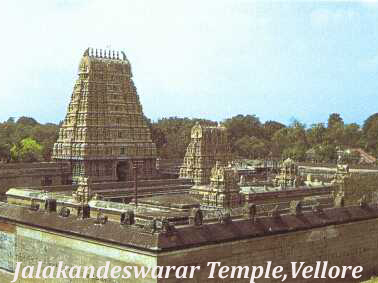 Vellore retained the blend of rich heritage and culture representing the ancient Dravidian civilization. After the first freedom fight against British. It was the seat of the Pallavas, Cholas, Nayak, Marathas, Arcot Nawabs and Bijapur Sultan Kingdoms. Vellore was once the capital city of the mighty Vijayanagar empire during 1606–1672. 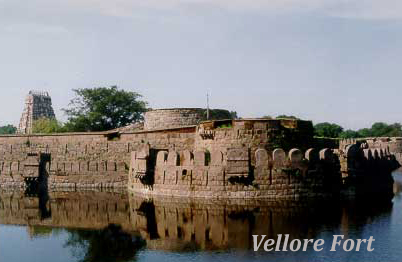 Vellore Fort was described as the best and the strongest fortress in the Carnatic War of the 17th Century. The monuments found in the district give a vivid picture of the evolution of the city through the ages. There were countless changes in the region over the past 200 years in the formation of kingdoms and their capitals. The 'North' and the 'South' regions of Arcot arrived on the political map in 1810 at the time of the last Mughal Emperor. In 1908 the two districts North and South Arcot came into existence. Chittoor, now in Andhra Pradesh, was the first capital of the North Arcot district. From then on it was the principal military base of the British. In 1911, Vellore became the head quarters of North Arcot District comprising Vellore and Thiruvannamalai.